A lovely farewell gift from Professor Dolphin's students at Harvard University. A lovely piece of Raku Pottery that David made. One of the many lovely wood projects David has created. This one designed to house some of the Stained Glass created by Dorothy Manning. Dr David Dolphin, as the Vice-President of Technology Development at Quadra Logic Technologies, was instrumental in the discovery, development, and commercialization of Visudyne, and the establishment of one of Canada's most renowned university spin-off companies, QLT Inc. Visudyne has already saved the vision of hundreds of thousands of people afflicted with "wet" age-related macular degeneration. Visudyne is the most successful ophthalmic product ever registered; it has been approved in more than 70 countries; more than 600,000 patients have been treated; and more than $3,000,000,000 of the drug has been sold. Dr Dolphin holds more than 264 patents (43 of them issued in the USA) and has been internationally recognized for his industrial research. In 2002 David (along with Julia Levy) was awarded the Prix Galien. In 2004 he was designated a Hero of Chemistry, the highest award the American Chemical Society gives to an industrial chemist. Dolphin obtained his Ph.D at the University of Nottingham in 1965 and then moved to Harvard Universitywhere he spent a year as a Postdoctoral Fellow with Nobel Laureate Robert Burns Woodward. He then joined the faculty of the Chemistry Department at Harvard where he stayed for a decade before moving to the University of British Columbia (UBC) in 1974. He is an Emeritus University Killam Professor and the QLT/NSERC Industrial Research Professor in Photodynamic Technologies at the University of British Columbia in Vancouver, Canada. Before joining QLT, David was the Acting Dean of Science at UBC and he was acting V.P. of Research at UBC in 1999-2000 and in 2005. He is an internationally recognized expert in the areas of porphyrin chemistry and biochemistry and has been instrumental in the development of drugs for photodynamic therapy. He is the author and editor of eighteen books on spectroscopy, chemistry, and biochemistry and has published over 400 research papers. During his career Dolphin has trained many highly qualified personnel. He has graduated (or is currently supervising) 50 graduate students and 98 postdoctoral fellows and research associates. Many have moved out into academia and industry. Paul Bartlett was David's first M.Sc. student and is now recognized as one of the leading organic chemists in North America. Richard B Silverman was his first Ph.D student and has proved himself to be one of the leading biochemists in the world, and Andrew D Hamilton, another of David's graduate students, is now the Provost at Yale. On the industrial side Veronica Sherra-Pangka is the President of Torcan (Aurora) and John Thornback the President of Resolution Pharmaceuticals (Mississauga). Both were postdoctoral fellows in David's laboratory. Dr Dolphin is a Fellow of the Canadian Institute of Chemistry and a Fellow of the Royal Society of Chemistry. He was elected a Guggenheim Fellow in 1980 and awarded a D.Sc. from his alma mater of Nottingham University in 1982. In 1990 he was awarded the Gold Medal in Health Sciences by the Science Council of British Columbia, was the 1993 recipient of the Syntex Award of the Canadian Institute of Chemistry and in the same year he was the recipient of the Bell-Canada Forum Award. He was awarded an Izaak Walton Killam Research Prize in 1996. He was appointed a Fellow of the Royal Society of Canada in 2001. He received the Friesen Rygiel Prize in 2002 and the same year he was elected a Fellow of the Royal Society (London). In 2004 he received the CSPS Award of Leadership in Canadian Pharmaceutical Sciences, the CUFA/BC Academic of the Year Award, and the NSERC Award of Excellence. 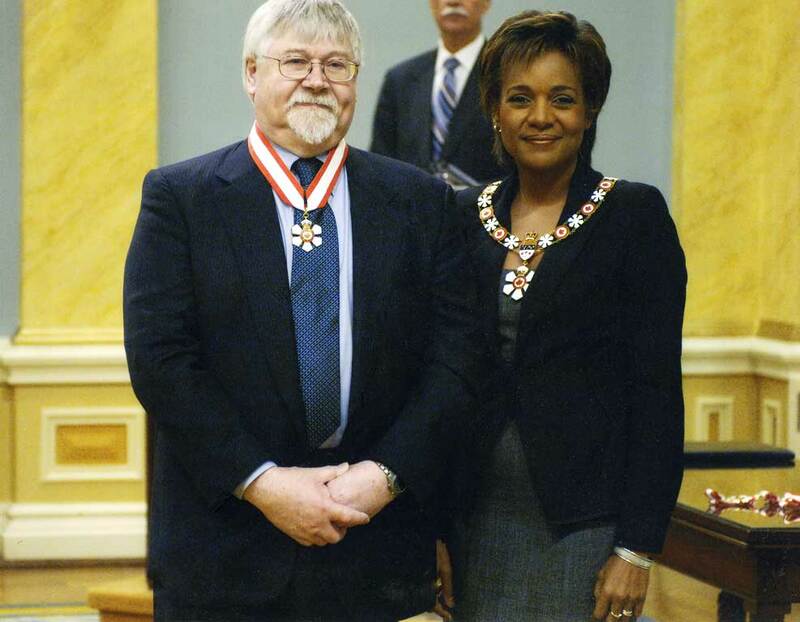 In 2005 he was awarded the NSERC Herzberg Gold Medal, the Council's highest honour, which recognizes research contributions characterized by both excellence and influence. In addition to the medal, the winner is guaranteed $1 million to use for his own university-based research. 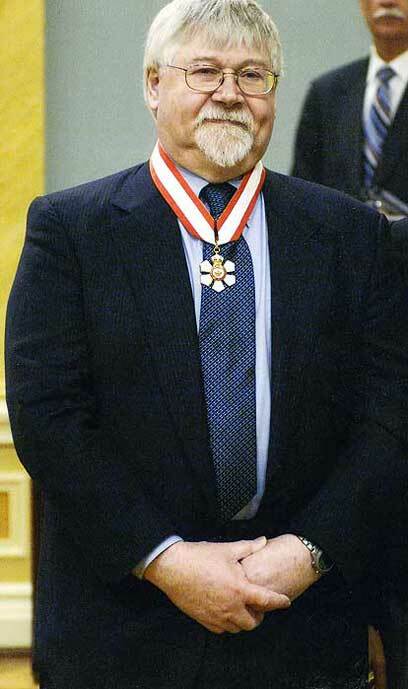 In the spring of 2006 David was appointed an Officer of the Order of Canada which is the country's highest honor for lifetime achievement and service. 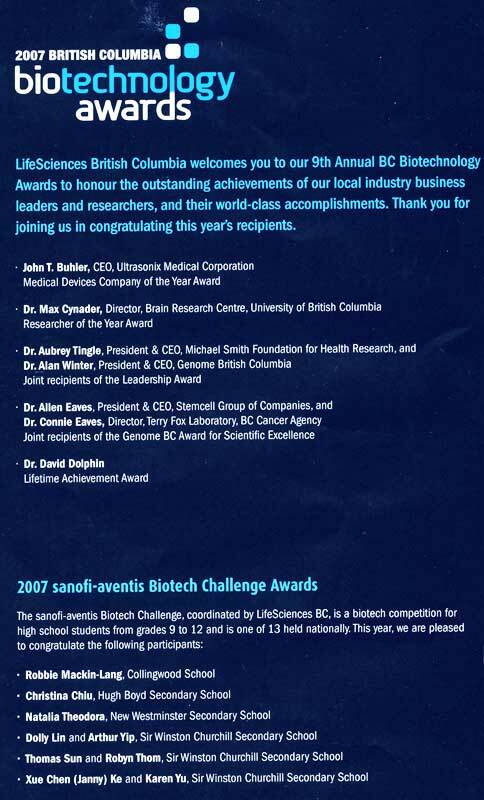 In addition to his administrative experience at QLT and UBC, David was the founding CEO of the British Columbia Innovation Council and has sat on many boards including those of The Canadian Foundation for Innovation (Chair of the Governance Committee), Genome BC (Chair), the Center for Drug Research and Development (Chair), TRIUMF, the Michael Smith Foundation for Health Research, and he was a founding board member of Neuromed Inc.